You may have seen that when you search your law firm on Google, on the right-hand side of the page, there is a rectangle section, usually with some photos, under which is a review panel. If your firm has received a review or reviews, then they will appear there. Do these Reviews Hold Weight? Absolutely! Because essentially, if they’re legitimate, previous clients of your law firm are ranking you and augmenting that rank with their comments. Similarly the case if you book accommodation online, it’s likely that you’re paying attention to what people said about the hotel during their recent stay. How Do These Google Reviews Get There? “Google My Business” is a Google-owned and controlled platform offered to every business for free. The benefits of being on this platform, far outweigh the negatives of not being on the platform. For example, we know that increasingly people are wanting to readily contact or locate your office via a mobile. Your law firm’s address and contact details are overtly published on Google, making it very easy for existing or potential clients to reach you. What Do I Do About These Bad Reviews from Legitimate Clients? The bad news is that it’s very difficult getting these types of reviews removed. At best, it’s a judgement call as to whether or not by responding to the review (which you’re able to do via your Google platform) will escalate the matter. We know that there are those clients who are inherently difficult and no matter what you say or do, their misplaced anger will not wane. Hello John, it’s Neil Davy here, Managing Partner of the Davy Law Group. I acknowledge your review and I’m disappointed that you have experienced these issues and chose to express them here and not to us personally. As you’re aware, we do take client feedback very seriously and it would have been apparent in the materials that we sent you when you became a client of our firm, our Client Charter. The Charter sets out a number of ways in which any concerns you may have during the course of your relationship with our firm, can be addressed promptly and effectively. John, despite your decision to ventilate your issues here, of which we will not respond to because of our confidentiality agreement with you, we still encourage you to reach out to us via the Client Charter so we’re able to better understand the issues and reach a resolution. What About if the Review is Fake? Unfortunately, there is no prompt way of removing such a review. We find it frustrating for many firms that we work with who acquire these reviews and yet, despite the overt false nature of them, Google is somewhat loathe to remove them. After you’ve responded, the next step is to flag the review. You can attempt to reach the team at Google regarding a violation of their review policy. After you have flagged the review, follow up by having several people flag the relevant review. We have found that this sometimes can force the issue to be resolved. Now, once a review is flagged wait between 3 and 7 days for a response or better still, the review removed. 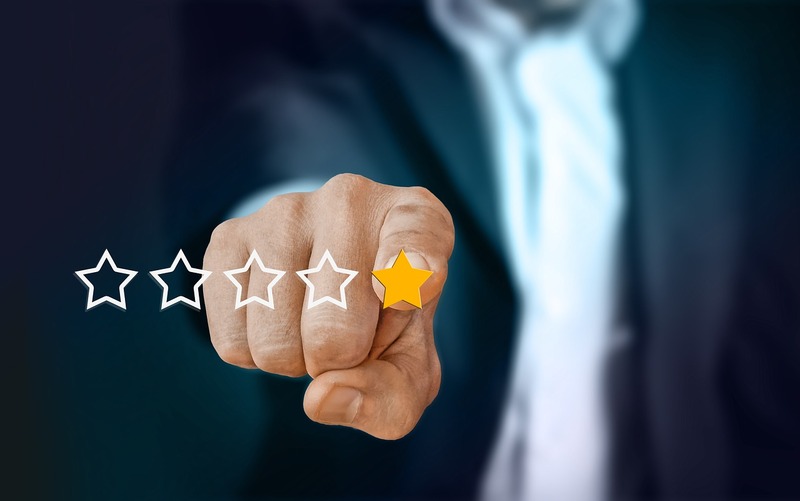 Getting reviews on Google is incredibly important for a number of issues, not only to do with their persuasiveness, but also from a SEO perspective. However, one of the inherent issues in getting your happy clients to leave a review on Google, many of which will not understand what you mean. Our platform wesay.co provides your firm with a page that easily links your happy clients to leave a review and in the case of an unhappy client, we collect their misgivings about your firm and direct to you, rather than directing them to your review page on Google.